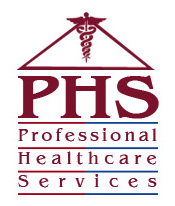 Professional Healthcare Services (PHS), a home healthcare agency is happy to assist you and your loved one who may be a patient in a hospital or a resident in a nursing home or an assisted living establishment. Often times a family feels that although, they are generally satisfied with the care being provided, they wish to supplement the staffing which is available. PHS will work with you, your family member and the institution or facility in question to provide additional staffing while, at the same time, maintaining positive relationships with the facility.